There is no single answer to which type of air conditioner is the best. Both ducted and split system air conditioners have their pros and cons. When it comes down to it, it depends on the size and layout of your house, and what you want from your air conditioner. Ducted air conditioners are a centrally controlled cooling system that is designed to cool an entire building or house through the use of ducts. Ducted air conditioning units also come in reverse cycle models for both cooling and heating. 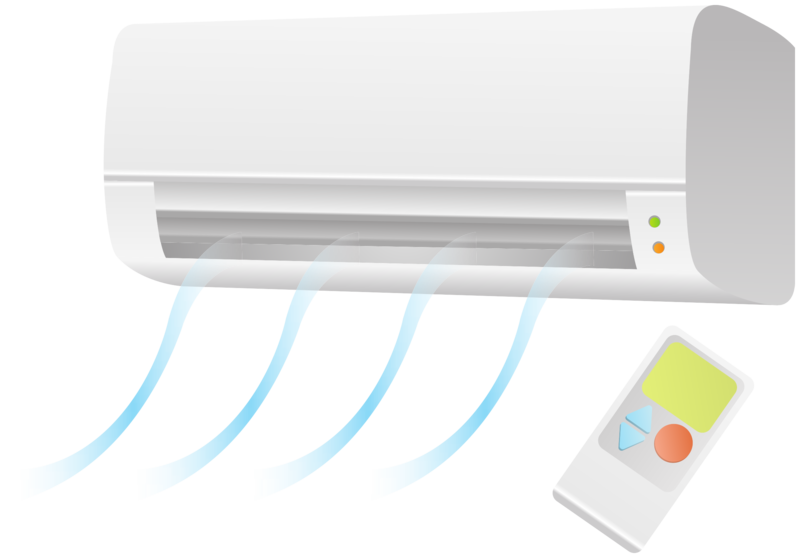 Some ducted air conditioners are equipped with zone control for the individual heating and cooling of different rooms or zones of the house. Like with any air conditioning system, ducted air con comes with its own list of pros and cons. One obvious advantage of installing a ducted air conditioner is that a single unit will cool your entire home. Through the use of ducts, air is cooled by the main unit and then redirected into every room of the house. This makes it easy for ducted systems to maintain a single temperature throughout the house. Not only is the maintained house temperature beneficial for those living in the house, the controlled conditions can also help to extend the lifetime of the flooring and furniture throughout the house. When you are cooling an entire house, ducted systems are much more energy efficient than split system units as only one ducted unit is required. Choosing the right sized air conditioner is a big decision that can turn your house into a refuge from the sweltering Australian summer. However, choosing the wrong size can result in huge power bills for an air con unit that can’t efficiently cool your house. There are many things you should consider before choosing the size of your air conditioner. Including room or house size, positioning of the unit, cooling efficiency, and your surroundings. One easy way to get an idea of how powerful your air conditioning unit should be is to measure the room or area of the house that needs to be cooled. For a single room, simply measure the length and the width of the room and multiply them to get the total area of the room. In average conditions with an assumed standard ceiling height of 2.4m it takes 0.15 kW to cool 1 square metre. this will give you a rough idea of the size of air conditioner you will need. Step 1: Measure the width of the room the air conditioner will be in. (In metres). Step 2: Measure the length of the room the air conditioner will be in. (in metres). Step 3: Multiply the length and the width of the room to find the area of the room. Step 4: Multiply the area of the room by 0.15kW to find the ideal sized air conditioner for the room. Note: All measurements should be in metres. Only applicable for a standard ceiling height of 2.4m.